I've seen a lot of cases where someone buys a betta and a bowl. They do get a heater for the bowl once they know the requirements of bettas. Then on down the line they upgrade to a 5 gal or a 10 gal tank. Now they have this bowl just sitting around. It's still large enough (but just barely) for a betta, so while it's still empty there is still that temptation to get another betta. Here are some nifty ideas to fill that bowl with things that aren't bettas. There are a few variety of shrimp commonly found in pet stores. Ghost shrimp are most common. Red cherry shrimp can be found in some stores or from other hobbyists online. There are a lot of other varieties that can be found in specialized shops, but it's good to keep in mind that some are more difficult to care for than others. Shrimp are tropical creatures so they they will need a heater. They appreciate live plants and the benefits they bring, but you can just use low-light plants like anubias, java moss, and java fern. Shrimp have a very small bioload compared to fish, so you can have quite a few in a smaller tank. 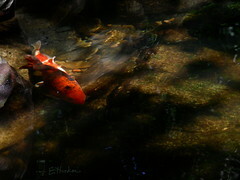 Some species also breed easily in aquariums. Just like fish, they will need some kind of regular maintenance. A well-aquascaped tank even without fish can be a very striking thing. With a black background and black sand, the green plants pop. Add some rocks and driftwood to really complete the picture. 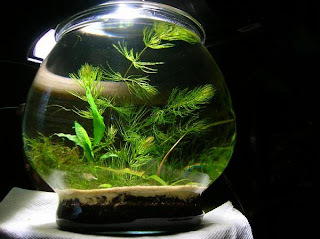 This tank could be very easy or rather difficult depending on your choice of plants. Low-light, low-maintenance plants like anubias, java moss, and marimo moss balls can be grown with the ambient light from a window and little to no fertilizer. 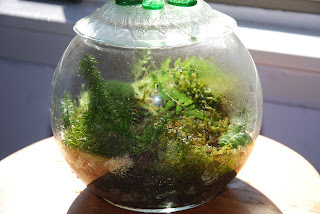 Marimo moss balls don't even need heaters. If you want a bit more of a project, you can have plants like crypts and dwarf hairgrass. These plants require enriched substrates, CO2, and in some cases high lighting. While some people think them gross, a lot of people enjoy having snails in their aquariums for the benefits they offer as well as their interesting locomotion. A small tank without a betta is a great place to have snails. With larger snails like apple snails and rabbit snails, you could only have one, but with smaller snails like malaysian trumpet snails or ramshorn snails you could have quite a few. You will have to pay more attention to water quality and parameters as soft, acidic water will dissolve their shells. Larger snails like apple snails and rabbit snails will need to be fed, but the small snails can scavenge enough food from algae and biofilm supplied by water changes. Most snails will only eat dead and dying plant matter so you can combine them with a planted tank without worry. One idea that people don't normally think about is removing all the water from the bowl. If you have a sunny spot in your house or office you won't need a light. Some aquarium plants can be grown on land if the soil is moist enough, or you could take house plants and pot them in the tank. Moss terrariums are another option and don't need to be watered often if the tank has a top that reduces evaporation. If you're worried that other house pets might get into the terrarium, you should plant species that are okay to be nibbled on by cats and dogs or get secure lids. I know that temptation to buy another betta when you have extra bowls and tanks laying around is very strong. I've fallen prey to it a few times, and I can tell you the best way to reduce that temptation is to fill those extra bowls with something else. My extra tanks are currently being used as moss terrariums and Marimo aquariums. Love the idea of a well-planted bowl with shrimp. Bet that would be a great permanent centerpiece for a table!